Get your vehicle DOT Certified at Quality Equipment. 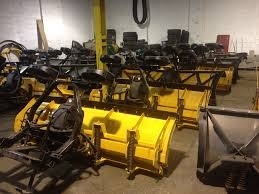 Store your plows and sanders for the summer months. $225.00 per plow and $200.00 per sander. All equipment placed in summer storage will receive an annual inspection. Discounts may apply for multiple pieces of equipment. We have a special on the long bed nets and interior divider nets, while they last!